SIPTU has asked the Minister for Children, Frances Fitzgerald, for increased government investment in training for childcare workers which is both classroom based and involves on the job training. SIPTU Vice-President, Patricia King, said that the delivery of quality childcare is dependant upon a highly skilled early childhood education and care workforce which enjoys decent pay and conditions of employment. “We are asking for quality, affordable and accessible childcare delivered by a suitably qualified workforce that enjoys recognition of their professional skills as well as decent pay and conditions. “These workers should receive the appropriate training and the State needs to step up and accept its responsibility to resource a programme which integrates classroom based learning with ‘on the job’ training and development. “Too many qualified and dedicated childcare professionals are leaving the industry due to the low pay and poor working conditions in the sector. We have seen that well qualified and committed people are leaving the sector many going on to deliver quality care and education to children in other countries where there are proper professional standards and appropriate pay and conditions,” Patricia King said. 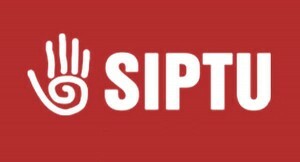 She said that SIPTU will be making a submission on childcare training to the Review of Apprenticeship Schemes which has been established by the Minister for Education, Ruairi Quinn.